unheated sapphires for Vedic astrology and Jyotish: Sri Lanka sapphire buying trip. Sri Lanka, (officially the Democratic Socialist Republic of Sri Lanka known as Ceylon before 1972, Serendib, Taprobane, whatever you call it), is an island nation in South Asia, located about 31 kilometers (19.3 miles) off the southern coast of India. 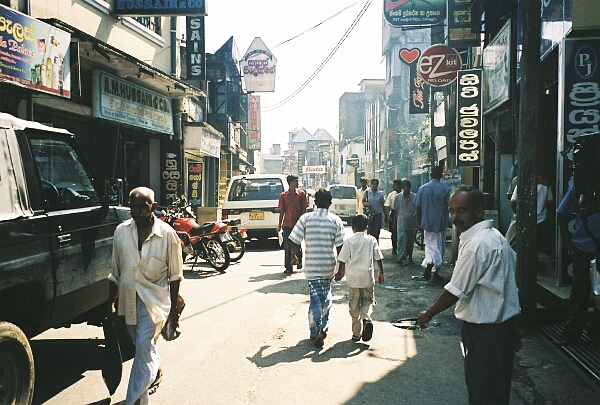 Popularly referred to as the Pearl of the Indian Ocean, it is home to around twenty-one million people. 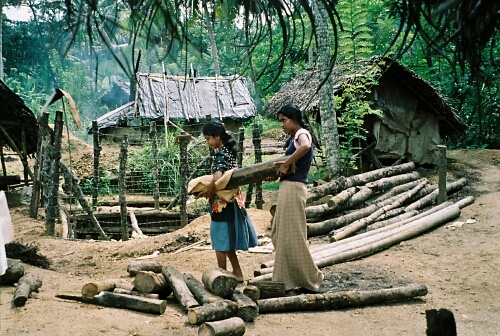 Sri Lanka is a Sinhalese word that translate as 'resplendent land'. The land of the finest unheated sapphires, cat's eyes, alexandrites, spinels, star sapphires, garnets, aquamarines, amethysts and many other gem varieties. 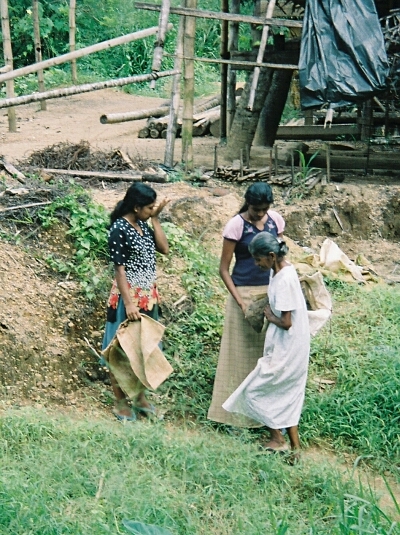 Ratnapura, or "city of gems" is the locality with the most concentration of gem mining. 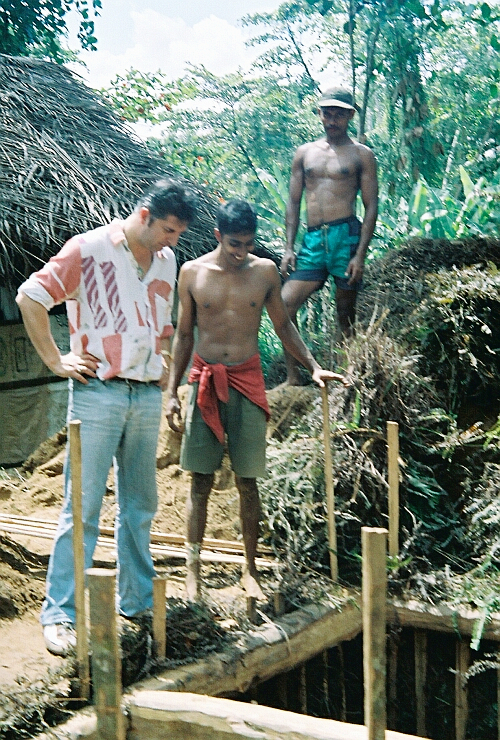 Throughout history, Sri Lanka has been known as a land of gems. King Solomon was said to have procured a great ruby for the queen of Sheba from Ceylon. Marco Polo (1293 AD) wrote about the ruby that once graced the Ruwanweliseya Dagoba at Anuradhapura..."a flawless ruby a span long and quite as thick as a man's fist". A visit to one of the museums or many gem workshops will give you the opportunity to see a variety of precious stone, such as rubies, sapphires, cat's eyes, alexandrites, aquamarines, tourmalines, spinels, topaz, garnets, amethyst, zircons etc. 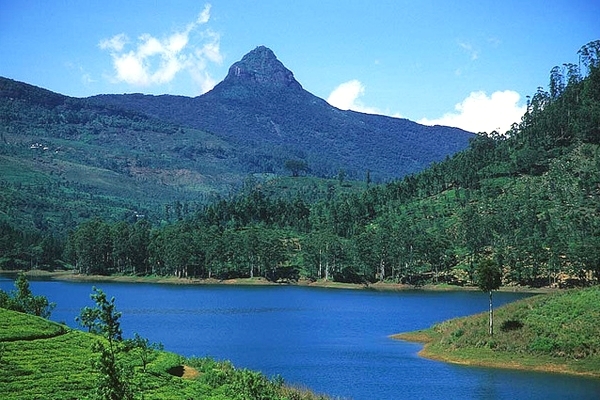 Ratnapura is situated at the foot of the 2243 meter high Adam's Peak. 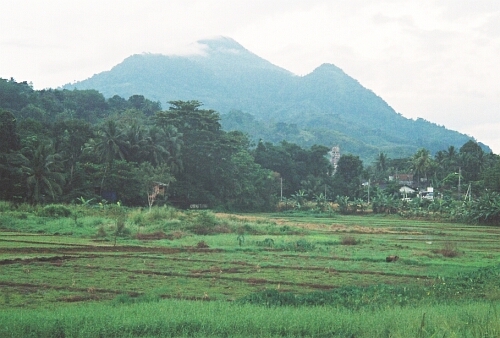 All four major religions claim Adam's Peak as a holy mountain. > Buddhists call the mountain Sri Pada (the sacred footprint), or Samanalakande (Butterfly Mountain) and believe the Lord Buddha has visited the mountain and set his sacred footprint. Hindu's say it's Lord Shiva's and Muslims believe that it is the place where Adam first set foot on earth, after being cast out of heaven. Catholics say it is of St. Thomas' the Christian Apostle who preached in South India. 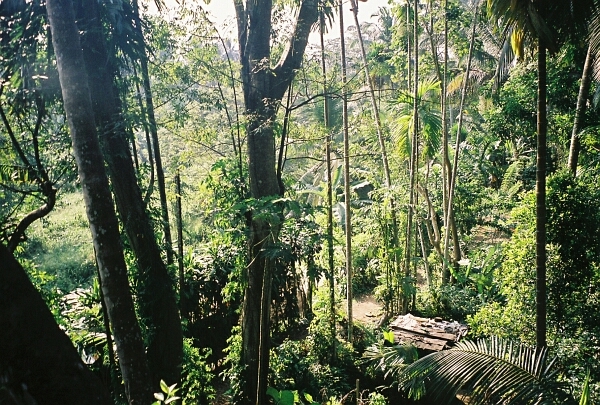 Ratnapura is also the starting point for the 'Classic' Hard route up Adam's Peak, via Gilimale and Carney estate. The Pilgrimage season starts on Poya (full moon) day in December and runs until the start of the South-West Monsoon in April. It has been a pilgrimage centre for over a 1000 years. King Parakramabahu and King Nissanka Malla of Polonnaruwa provided ambalamas or 'resting places' for weary pilgrims along the mountain route. The other more popular route is through Dalhousie (pronounced 'Del-house') close to Dickoya. But let's talk about the gems of this beautiful land. A gemological summary in few words...an-all time low availability of unheated material is available in Sri Lanka as per 2012. I would estimate that unheated sapphires counted for less than 2% of the sapphires we were offered to. And prices for such, were the other main reason to get frustrated with the local miners. From 2010 until 2012, prices for unheated sapphires and other gem varieties, have gone up 100%. This is the new reality. Especially unheated yellow sapphires are very scarce and an all time high in price. White and pink sapphires prices, .... simply crazy, due to very little availability and strong demand. On the other hand, on the human aspect of the visiting, we always have a good time, beautiful weather, plenty of delicious tea, and tastily hot rice & curry. 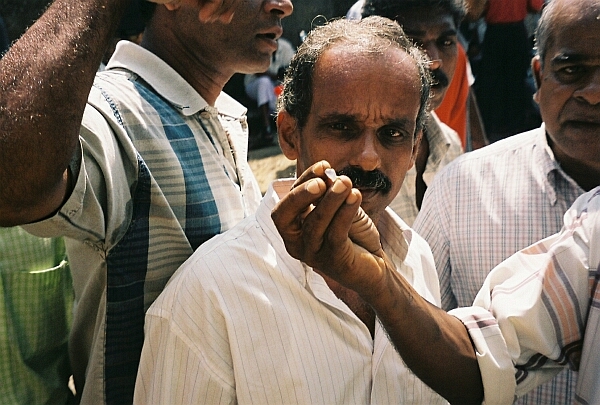 RC at the gem market in Ratnapura, viewing a tourmaline macle crystal in calcite matrix. RC examines a huge, gorgeous, perfectly terminated, unheated blue sapphire crystal at the Ratnapura gem market. Usually a perfect crystal like this is never faceted or heat treated and sold "as is" to collectors for very high prices. 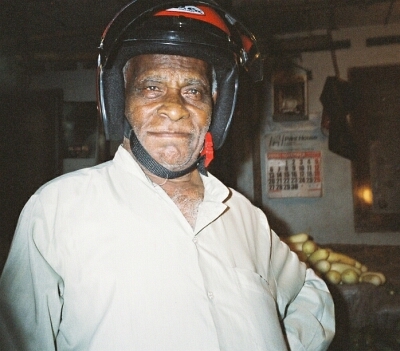 A Sri Lankan "dare devil". 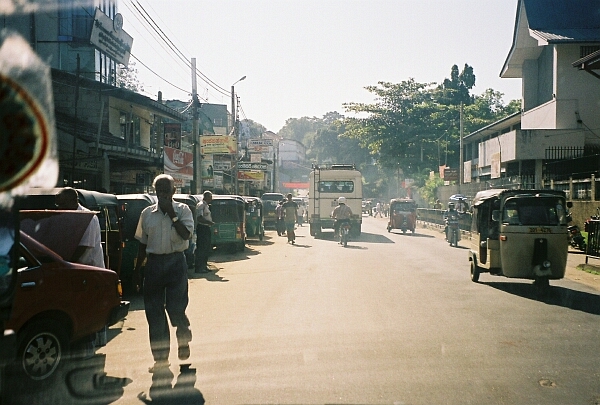 3-wheels and motorcycles are great means to go places in Sri Lanka. 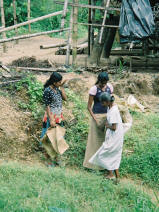 Ratnapura countryside. 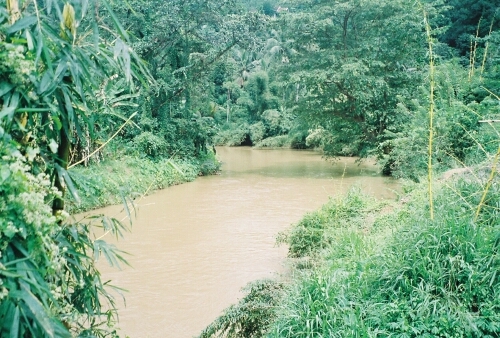 During November (the period this photo was taken), in this interior part of the country, it is sunny in the morning, then it gets cloudy in the afternoon with rainy evenings and part of the night. Mining is therefore stopped. Left. A beautiful, painted mural at the shop of our miner friend. 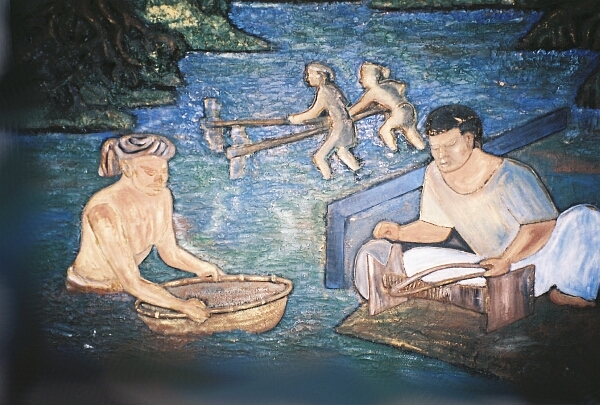 It portraits the river mining, gravel washing and cutting process that Sri Lankans have used and are still using nowadays since unmemorable time. Middle. 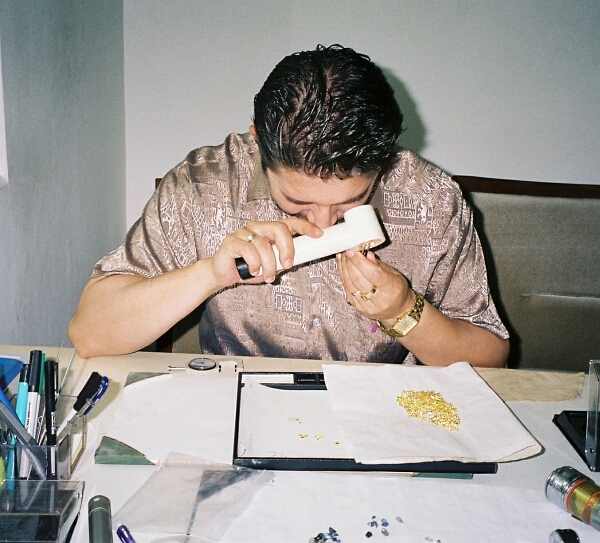 RC louping a parcel of small yellow sapphires. 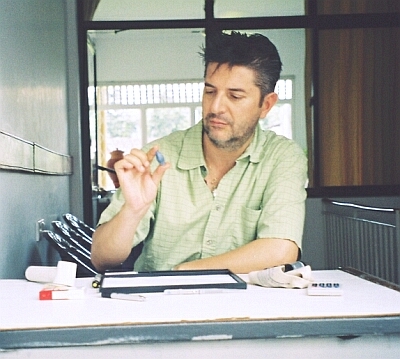 Middle. 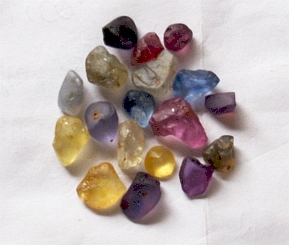 A colorful example of Sri Lankan gemstones that are not sapphires. Right. Parcel of unheated, Sri Lankan "fancy" sapphire rough. 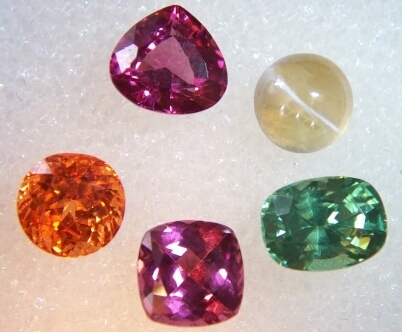 As a general rule, when cut in faceted gems, colors will be less intense. These pieces have been collected by our friend miner, over a period of 3 months. They represent a mere 1% that will cut clean gems of all unheated, mine material. In addition, the "left as-is unheated" rough represent about a 2-3% of all sapphire mined. Morning 10:00 AM of every day. 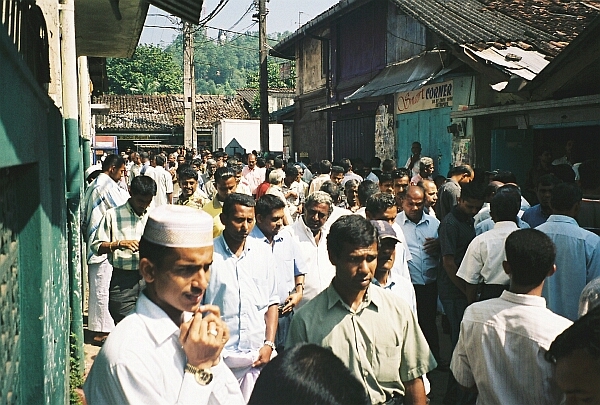 Hundreds of people gather to trade gem rough in Ratnapura. A very intimidating place for a Westerner. Looking down into a mine pit. Usually these pits are 50-60 feet deep. 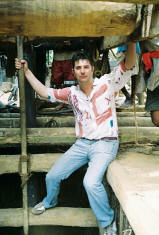 The temperature at the mine site is around 100�, extremely hot and humid. Mine worker. 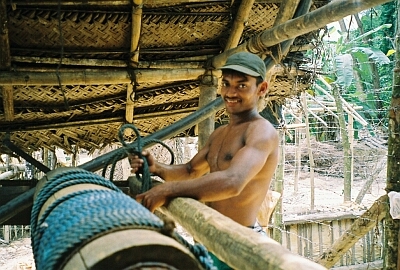 Sri Lankans always smile...Very beautiful people at heart. 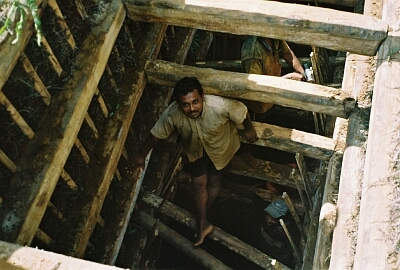 Mine workers stuffing the walls of a new mine shaft with "Kakille" (not sure about the spelling), bush-like, tree leaves. Mining is always a gamble. Sometimes you spend several dozen thousands of $ in a 3-4 month period, and the shaft only produce very, very little. Sometimes workers ingest a fine rough stone...in all not an easy business for the mine owner.